CHNGE is a fashion brand with a difference. 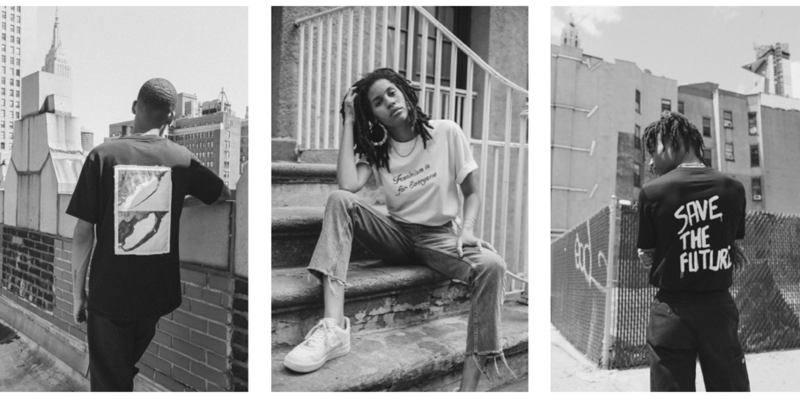 In their own words, they “exist to give consumers who care an outlet to make a positive impact in the world through their purchases.” Their unique and bold clothing includes compelling phrases and calls to action such as “system change not climate change” and “save the future”. Not only their designs, but the way that CHNGE make their clothes demand change in the fashion industry. All garments use 100% organic cotton, they are fully transparent about their factories, they pledge to donate 50% of net profits to organisations creating progressive social and environmental change. And they are 100% carbon neutral – for not only for production but also for the use of their shirts by customers in the washing and drying for their lifetime. A stand out for the fashion industry. CHNGE offset the full carbon footprint of their products, from the production and transportation through to the use phase, by protecting and facilitating the continued growth of forests at our Tambopata-Bahuaja Biodiversity Reserve project in Peru. CHNGE is at the forefront of companies recognising and assessing the full scope of the carbon footprint of their products by addressing scope 3 emissions (use of their product by customers). While they cannot have much direct impact on how customers wash and dry their clothing, CHNGE acknowledges this climate impact is within their scope of influence and are taking action to mitigate it. This work is made possible through our partnership with the organisation Stand for Trees that is dedicated to empowering people to take action to protect forests and combat climate change. Contact us to discuss how you can take action.